Medium viscosity silicone lubricant made specifically for artificial eyes. Occasionally, artificial eye wearers will experience dryness, irritation, increased drainage or difficulty blinking. This is especially true of hot, cold, windy, dusty or air-conditioned environments. All of these conditions tend to evaporate the moisture from the front of the prosthesis. I need to buy the heavy Viscosity. THis is too dry for me. Have not had sufficient time to evaluate the product. Initial use product performed as stated. Ordered on a Wednesday and it came within 3 days! Great company great products and will continue to use . Thank you for providing these products. THE PRODUCT IS THE SAME AS ALWAYS. WORKS JUST FINE BUT HAD I KNOWN I WOULD HAVE TO PAY U.S. EXCHANGE ON MY PRODUCT PLUS SHIPPING I WOULD HAVE ORDERED IT ELSEWHERE. It is SO refreshing to encounter a specialty supplier who REALLY takes care of its customers. I ordered on Tuesday and product arrived Friday. NOTE: I did not think my online order went thru so I called; then 2 days ago I received a second order. This should last me a little longer. Reasonably good lubricant but I can’t tell much difference in yours and mineral oil, and it is way too costly for seniors on fixed incomes. It was very easy to place the order on line and the items were received in just a few days. I do not have to drive 30 miles to town and 30 miles back home to search for this product. I love the convenience of just getting on my computer and able to receive it in a timely fashion before I run out. The sil-optho still hasn’t made it to me. I’ll check at the post office tomorrow. I have never made an online purchase and not be notified that an item has shipped until I requested the info yesterday. However, it was shipped quickly. I’ll keep you informed of my progress with the post office. Nice viscosity not to thick . Its nice to have a place to buy the eye care products I need. Also when I had A problem you gave help and were understanding. Thank you! In the past I have ordered the Sil-Ophtho from another online company, but going forward I will only use Erickson Labs. Ordering online was very easy and product arrival time was fantastic. Thank you Erickson Labs Northwest! Always a great product and company to work with. My order arrived on schedule and with correct no of items. Very satisfied with your service. I have used this product before and it does a good job of lubrication. does wear off and have to be re-applied during the day. Not an all day product which I would like. So basically, I bought this stuff to try and combat a terrible problem I have with my prosthetic eye, which is the crust that forms on the eye every hour I have it in. I understand why it happens, but it’s super annoying and frustrating, especially when you’re in public. So I thought this stuff might actually fix the problem. Maybe my hopes were too high. It might help the problem slightly, but that crust is still usually forming within an hour of putting the eye in. I think it is to a lesser degree, which is good, and I think it helps more if I apply the oil every hour. I think it has also helped some with the irritation of dryness and blinking. Overall, I guess it has been a help, but it has not solved the dilemma of eye crust like I had hoped it would. Excellent service, fair prices, have and will buy again……. This product was recommended by an eye doctor for use by my wife to make it easier to insert and wear her prosthesis. As she’s only recently started using it, can’t address its overall effectiveness at this time, but it appears to be providing some degree of relief when wearing the device. This is the second time I have ordered this product. It came fas. Thank you for your service . Will be ordering again. With out lubricant on my artificial eye, my top eyelid sticks on the very dry eye surface, Very uncomfortable. Usually after a while my eye turns red and water and mucus runs down my face. With Sil-Ophtho most of the problems have cleared up. Eyelid moves smoothly over the eye causing no problems. Redness and mucus problems have also cleared up. When the eye workes good, less stress and pain. Love this stuff! Erickson Labs has always provided me with great, expeditious service. Thank you. It’s been 2 weeks and I still haven’t received the product. You charged 15 bucks for shipment and it’s complete rip off. What a heck is going on? Why does this document say $5.67 for shipping and the package says $2.67 ? What was the #3.00 for ? 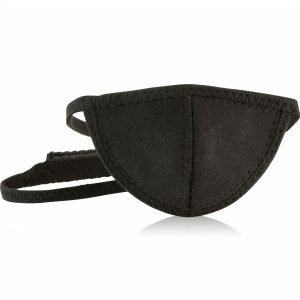 I order these for my husband who has an artificial eye and he says they’re the best! Excellent product. Have used this product for many years and Erickson Labs Northwest has provided me with excellent service. My son is 8 and he loves the medium viscosity! It is awesome! As advertised. Quick delivery thank you. I have used Sil-Ophtro for several years. It makes wearing my glass(acrylic) eye much more comfortable. I really like the speed of delivery your company provides as well. Thank you very much! I am so pleased with how fast the sil-ophtho arrived–our bottle had expired, so it was needed badly! Fantastic service! My first time ordering and received as promised. Thank you, I am sure I’ll be ordering again soon. Great product. Works perfectly!!! Service is wonderful. I received the products in a few days. I am very satisfied with the drops. They do a great job in lubricating my prosthesis. Leaves the eye quite comfortable. My husband likes the medium for his eye. He lost it about 50 yrs ago in an accident. This product seems to work the best for him. He does need to use it several times a day as his eye seems dry. Great product but due to severe dry eye syndrome I get I find the Heavy Viscosity superior for lubrication purposes! I have used Sil-Optho for a long time. It works well-very well. It prevents night time mattering up, which I have a real problem with if I don’t use the product. Many thanks. Fast,curtious service.Always pleased with this company and its product . My prosthetic eye gets very dry at night. I put a couple drops of Sil-Ophtho and my eye feels much better. I have a bottle in my purse, my medicine cabinet and my nightstand. Love this product!! Shipment arrived on time. Everything was fine. Received my order as promised and would like to say ‘Many thanks’…..order was promptly received. Medical grade silicone, whats to say?!!!!!! Wonderful and impressive customer service from Erickson Labs! Only part of an order that I had placed actually arrived. Within a half hour of e-mailing Erickson, I received a courteous response and a promise of a new shipment, including an additional Sil-Ophtho as an apology for the mistake. I really appreciated the prompt response and service!! The medium viscosity Sil-Ophtho has made the wearing of my prosthetic eye much more comfortable than it was previously. Thank you! The product came very quickly and the drops work well. Your staff is just as professional online as in person 1 I miss your smiles though. I have been using this product along with the Vitamin E drops and I fine them both to be very good. I couldn’t get through to finish the order. I ordered drops from Erickson Labs NW. The service was fast. This product was purchased for my 87 year old mother who seems very satisfied and talks about the relief it provides with her prosthetic eyes…she is a hard person to please so we all say bravo!!! Very satisfied . Representive very nice and helpful .order received quickly .Thank you . Good selection of products. Shipment was quick and on schedule. My orders are always correct, fast shipping. Always a perfect transaction. I had high hopes for this but like everything else, it dries and becomes irritating. However, when one first puts the drops in, it feels quite good. Then it dries. I had tried different kinds of lubrication products to use on my prosthetic eye until I found Erickson Labs and their different lubrication products. They have a selection of different types and viscosities that you can try. The Sil-Ophtho Medium Viscosity has stopped my severe dryness in my eye with the prosthetic. Other products I have tried, I developed severe reactions when using them. I ordered the Sil-Optho on a Tuesday and was so amazed it arrived that Friday. I live in the country and usually U.S postal mailings are always late to arrive. Thank you to your Erickson Lab for being so prompt with my order and living up to your advertising. This product has greatly improved my comfort level. I will be getting a new prosthesis in a few weeks so this will make it easier to make the adjustment. I am so happy to have found this company. These eye drops are amazing!!!! I love them!! So much comfort, years of discomfort!!! Glad I discovered this company!! It works ggreat and keeps my eye from drying out. I had been having lots of problems with protein build up and it has almost completely eliminated the problem. Whoever answered the phone, was excellent and very curtious. Delivery was outstanding. You guys set a very good example for customer service. I would, and will recommend you to anyone. Thank you very much. Great!! ; first time in a long time that I was able to find product, buy online and actually get it quickly. Will definitely re-order. Sil Optho 15 mil, med. This product was recommended recently by my Occularist, in Sydney. I have been using it since 14 January 2016 and I am very pleased with its effectiveness in easing the dryness of my artificial eye. As a sufferer of rheumatoid arthritis, complicated by Sjogren’s Syndrome, I have hardly any tear and the exceptionally dry condition adds much discomfort. I am really relieved that Sil-Ophtho drops have been so helpful. Just a couple of drops lubricates for hours. Good Product, Arrived on time. Will buy again. This product works great and lasts all day. I have ordered from Erickson Labs 3 times and will continue to use them for their ease of ordering and prompt shipping. My prosthesis feels much better during the day after using this product. The order I placed was received, processed and ship very quickly. Thank you for the excellent service. I have used Sil Ophtho for over 2 years now and cannot live without it. It is the perfect solution for my eyes which tend to be dry in the morning as the lids of my affected eye no longer close completely when I sleep. I heartily recommend these drops for anyone with an artificial eye. Website was easily navigated, product ordered was available and delivered on time. I recently ordered the medium viscosity eye drops for my artificial eye. They arrived in a very timely manner and the drops are just what I needed to maintain my eye. These eye drops are for my husband and he says they are better than the ones he purchased in the past at the doctors office. Ordering is fast and easy and received the shipment very fast. I appreciate most of all the promptness with which my very small order was filled and shipped. The lubricating eye drops have been a Godsend!! Before I first purchased this product over a year ago I was having a great deal of discomfort (burning/itching) in my eye socket where my eyeball was removed and the “glass” eye resides. The first thing I do now upon arising is apply the Sil-Optho. The improvement in how the eye socket feels is amazing. I still have some drops left in the original container. I re-ordered before I ran out because I don’t want to ever be without it again. Product was delivered in a few days, very prompt. Having not received my order, and having not received an answer to my phone message (there was no answer) I am not really pleased with something I would really like to try. Receiving a satisfaction survey doesn’t really add much to this process. I doubt I would repeat or recommend such an order. At this point I would either expect my order today or a refund. Hi. My order went very smoothly. It was easy to place the order online & I received the correct item in a very timely manner. Thanks! So helpful in resolving chronic dryness and pain. I no longer feel like my eyelid mucosa is being torn and traumatized due to adherence to my prosthesis. I have only used this product for three days but I have found it to be superior to the hard contact lens cleaners and lubricants I had been using since Enu-Clene was doscontinued. This product may prove to be superior to Ene-Clene also. Very fast Shipping and a pleasure to do business with. Customer for several years. received order quickly but did not have instructions on use. I have been having issues with my prosthetic eye drying out from my work environment. These drops help to dramatically improve my ability to blink and move my eye around. I will defenitly buy more when I run low. Fast service. Received as ordered. My daughter loves the Sil Optho drops! I received the package faster than scheduled. Had a little trouble getting the order in, as I thought I needed to have an account to order, but found out I could as a guest, then all went fine. ii haven’t used this product long enough yet to rate it. I am hoping it will free my prosthesis from the dry, sticky underside of my eyelid to move easily in sync with my natural eye. I don’t like my prosthesis to be looking cross-eyed, wall-eyed or up at the sky at the same time my natural eye is looking straight ahead. Now, do you have a remedy for blepharitis that is the cause of it all? Very satisfied with the speedy response to my order. Appreciate receiving my order so quickly. Will definitely order again, when needed! This is a great product which has been used for many years. Erickson Labs is an excellent company…ordering online is quick & painless & the product is shipped very quickly. Will continue to do business with this company. The products were easy to order and were received in the expected timeframe well-packaged and intact. Have only use this twice so far, but seems to work well. Every time I need this product you always show up on the Internet. Easy to order, fast shipping. Never have been disappointed,thank you. The drops helped me significantly and I am having much less protein build up since I have been using them. I cannot say how much the product has helped me. I most certainly will continue to use this product, and am only sorry that I was unaware of it before and that my doctor did not make me aware of it. Perhaps he did not know of it. I wish I would have done a simple internet search and found this years ago. (That’s how I found you.) I feel like you have saved my sanity. Using eyedrops every hour is no answer, especially when I still had the pain and irritation. Received a couple of days quicker than expected. Terrific product for my sclera like shell. I have dry eyes and this product enables me to where my scleral shell all day in comfort. I am a physician and I am involved with patient care and satisfaction on a daily basis. I originally ordered the heavy viscosity to replace Occuglide which I have been using for years and which is no longer available. The heavy viscosity did not work well for me, so after only a few uses, I ordered the medium viscosity. I asked in the notes section when I ordered the medium online, if you would discount the price or shipping cost on my second order(since I can’t use the heavy), but you didn’t reduce the price or even reply to my request! Being a new customer, I would have thought that it would be a good business practice to at least respond to my request. For my patients, I may not be able to accommodate all of their requests, but I would always explain why!!! Tried this product for the first time and I was pleased with it. The product eliminated the dryness and seemed to last for quite a long while. I had used Ocuglide for several years and was so upset when it went of the market. I had to have something in place of the ocuglide and in hopes that it was similar I ordered the med. viscosity and also the heavy viscosity. I had to reapply often and my eye felt gritty a lot, something I never experienced with ocuglide. The last time I ordered I ordered the artificial eye lubricant that contains aloe vera gel, safflower oil and apha tocopheryl acetate ( vitamin E) and I will never use any other kind! I apply maybe twice a day and it never feels gritty. I am very happy with it! Since I have started using this product I cannot live without it. I have a prosthetic eye and to complicate matters my lid does not close completely resulting in a dry/sticky lid by morning. This product solves the problem completely. Thanks for an excellent product! Some years ago my ocularist made a change to this type of synthetic ?tears? and changed my life. Prior to that, I was living with the constant distraction of irritations surrounding my prosthesis. THEN, the pharmacy that carried it retired ? thank goodness for ELN for providing the service of supplying the only drops that can give me comfort all day ? most days ? even in work/outdoor environments! I was surprised at how fast I received my internet order. Super fast shipping and great idems for sale at very low prices. Great product and quick service. Thank you! I’ve had problems with lubricants coagulating on the prosthesis, causing my eyelid to become irritated. Medium density Sil-Optho has allowed me to wear the artificial eye for longer periods with less attention. Use Sil-Ophtho mostly in the winter makes working outside lot more bearable. Extremely fast service. Item was shipped out the same day I ordered it. Will do business with this company again. Thanks. While taking a course of antibiotics I became very dry inside and out so my prosthetic eye became very dry and irritated, we ordered these drops and when I applied them to my prosthetic eye I had instant relief, and the bottle is so easy to use with it’s built in applicator. I will definitely buy this product again thank you! I had received a sample from the eye lab and used (not option). Starting using more the last two weeks. Now my eye socket gets very irritated. Should not have ordered the larger bottle. I’ve always had great service at Erickson Labs Northwest. Friendly staff. Fast and always prompt. Excellent price. Really fast shipping. I was using one product since I lost my eye in an accident when I was 7 yrs. old. I am now 58 and this product is outstanding! I put two drops in my eye, two drops on the back side of the shell, then 2 more once inserted. This makes it last all day without having to add more. I am very satisfied with this product. I was looking for a replacement for ocu-gluide,and I did just that. The medium viscosity isn’t as thick which means a can use it anytime during the day. Ocu-gluide was so thick I only used it before bed but felt great in the mornings and lasted most of the day. I plan on ordering the heavy viscosity as well for night time use, but love the medium for normal use. I love this product. Best lubricant I have used EVER. Not messy, requires very little, lasts all day in RENO, NV where the winds are hot and dry. My eye never felt better. I was shocked at how fast the delivery arrived. Just in time for our trip to visit family. I ordered two and wish I would have ordered 6. One for every location and trip pack (I have different bags always ready depending on type of trip. This will be wonderful for hiking the back country of Glacier and Rockies wilderness areas. I will be back and highly recommend this product and Company. I have just started using this product and I love it already. It is by far the best product of its type on the market and I only wish it was available in neighbourhood pharmacies. The shipping costs are a bit steep, but I do live in another country so this is to be expected. Thanks for this product and I’m sure you will be hearing from me again in the near future for another order. Website was easy to use, found exactly what I was looking for, arrived sooner than expected. Thank you! A few years back, I looked online and couldn’t find any products for my prosthesis. I got what I had from the VA. I needed a new bottle, and there you guys were. Thanks for having such a wonderful site. I’m sure I’ll be back soon. Product was provided by an eye prosthetics company. I have used there sample and found that it helped with maintaining lubrication. I appreciate your prompt response to my order. I have been using Sil-Optho for many years. It is the best of all of them out there. I got the order on thursday, I m not happy for the experation date( 2015) on the bottle since I won’t be able to finish it by that date. Haven’t used it yet, wondering if I can exchange it for later experation date. I ordered these artificial eye drops from your company and it was quick and easy and they arrived within 3 days. The price has gone up and the shipping was more than expected. This is my usual lubricate I have been using for years. Most of the time it works real good for me. a lot better than it was still not right but its a good product fast delivery,thank you.Maureen Murray. Excellent product. And I always receive it in a timely manner!! My ocularist recommended Sil-Ophtlo. Erickson made it easy to buy. I purchased the lubricant from a recommendation. I have been using Ocu-glide for quite some time but the company has gone out of business. This isn’t quite as good but runs a close second. Will order again. Dedicated Ocu-glide user, trying the Sil-Ophtho Viscosity for the first time, Thought I would not like the product and it wldnt be as effective as the ocu-glide was, but ended up did liking it. It did lubricate my eyes really well and it did not leave my eyes feeling dry after a few hours. Shipping was SUPER fast. Over-all I will be ordering again. 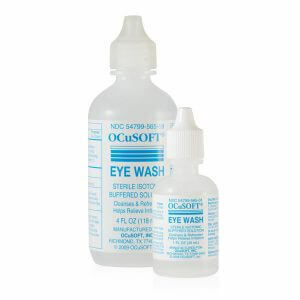 I have been using this product for several days now and it is not as good as ocuglide,since I have been using this product I have had dried mucus on my lens on a regular basis,I have had to go to the bathroom at work in public places cause I can feel the dried mucus on the lens and have to clean it off several times a day,I was already doing that before I ordered your product.I thought that this product would help me with that problem so no I would not tell anyone to use this product. Your website was easy to understand and easy to use. The small bottles are great for everyday carrying. lubricant for artificial eyes and works great. It arrived super fast(3 days). I will continue to use this product. It improves comfort greatly. It seems to help some, but my eye still feels dry and like it does not want to open. This is the same as Ocu Glide heavy. I tries the heave but it was way to thick medium is perfect. So happy to have a fall back. It keeps my eye happy so I’m happy . My daughter has a prosthetic eye and she said these drops make her eye feel more comfortable. I know when we order from Erickson, we’ll get it delivered promptly! I received my product very promptly. I ordered this to replace my Ocu-Glide which has gone out of business. I am not sure which product I need yet. So I ordered the medium and the heavy viscosity. This product really makes a difference in how my artificial feels. 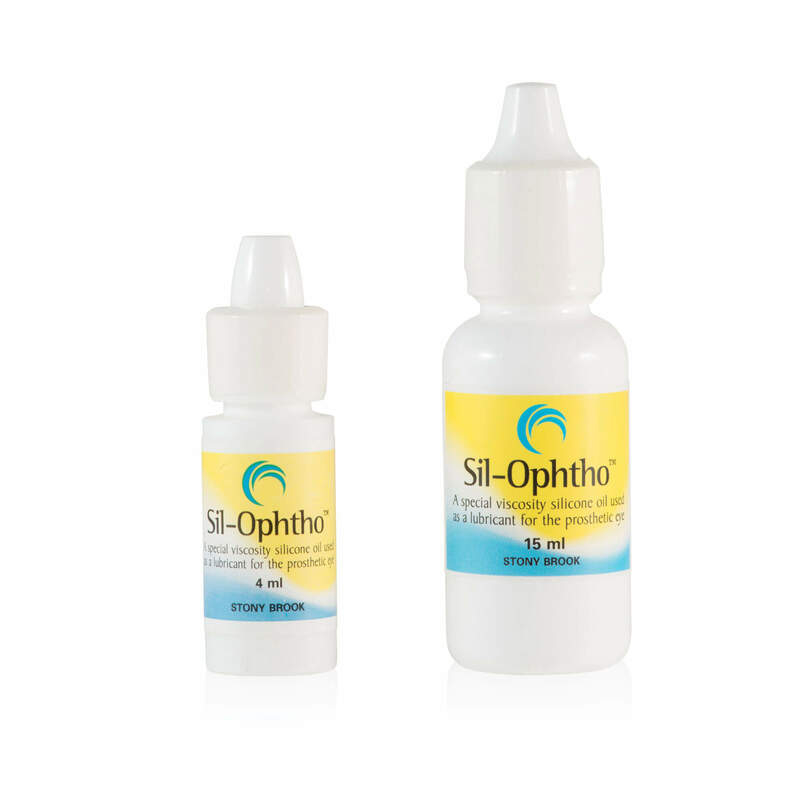 I’ve ordered the Sil-Ophtho for my wife twice and have been completely satisfied both times. The online ordering process is simple and the products were delivered days earlier on both occasions. I was a bit skeptical ordering from this company at first, but I am now a long-term customer! I found that the eye drops were very good and helped with lubrication and protection. I would recommend them to anyone. Order and delivery was a pleasant experience. I placed an order and got the right products in the expected time (excellent). I didn’t do the five stars because of what I view as a weakness in the order process. I had forgotten my password (my fault). I tried to order without one but the site recognized my e-mail. It “lost” my order info when it made me go through the lost password login process. I’d prefer it be simplified to check the e-mail first or retain the “cart” to prevent re-keying of the order/quantity/etc. That’s the reason it wasn’t a five-star rating. First time trying this product as my old product was discontinued. It is thicker and seems to last much longer. I bought this for my 3 year old son who lost his eye due to retinoblastoma cancer. It works well as a daily lubricant, and lasts a long time! My father uses this product and says he can actually sleep with his prosthetic in when he uses Sil-Ophtho. Easy to order and fast delivery at a affordable price. Everything went smoothly and easily. They arrived quickly. My mother-in-law has an artifical eye and has used your product for a couple of years. Abt two years ago, she developed shingles on her face and it affected her artifical eye. She was unable to use her AE for several months because of swelling and burning. Your product was beneficial in her being able to use her AE again. We are most grateful for this product. Only thing that helps my prosthetic eye!